And yes, we do have direct transfer tour to Albania! 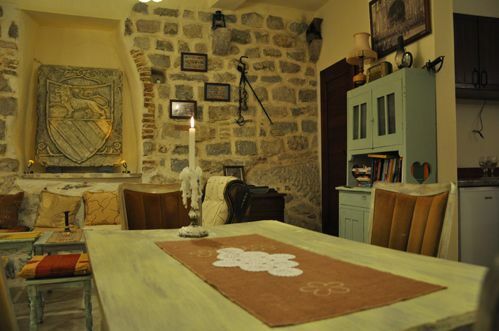 Once owned by a local noble family Bisanti, now redecorated as Old Town Hostel Kotor, we offer a truly unique form of stay in Kotor. 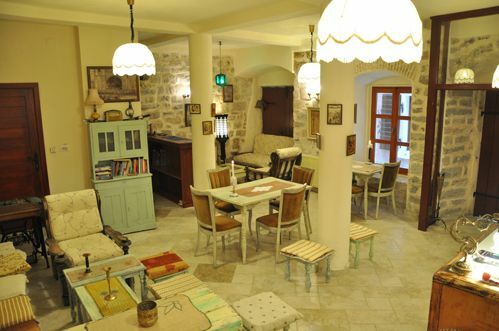 By careful restoration and design we have managed to offer the feeling of Kotor as it once was. 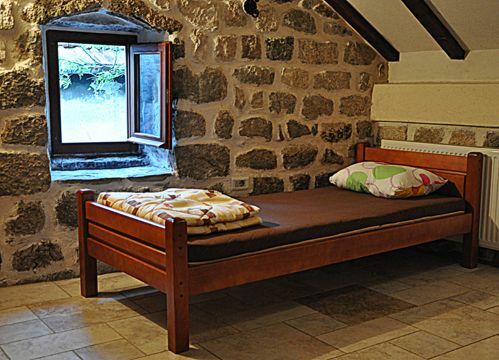 Old Town Hostel Kotor has 9 rooms (with 2, 3, 6 or 10 beds), 8 bathrooms with showers and toilete, a fully equipped kitchen in each room, plus one separate summer kitchen for cooking, and a lounge/caffe bar area. Considering your budget limitations, in nearby restaurants we provide a full breakfast menu from 1.5 euros to 3 euros, and full lunch or dinner menu for 5 euros. On top of that, we offer all that is necessary for long and short term travelers - our services include free internet, wi-fi, bath towels, hairdryers, laundry, electrical bicycles hire, personal lockers... Please note: We have 72 hours cancellation policy. We only accept cash payments on arrival. Check in: from 09:00 Please inform us about the estimated time of your arrival in case you are not arriving between 08:00 in the morning until 23:00 in the evening. Check out :10 :00 Taxes are not included Breakfast is not included. From the Airport Tivat Taxi to old city Kotor 8 to 12,00 (depends on the hour and day of the week). Possible pickup please inquire through mail. From Kotor Bus Station 5 mins walk. Please consult the map, but its very simple. From station head towards the sea, then turn right and walk towards old city. Coming to old city walls, turn right again, pass big yellow building, enter through only gate in wall available, and then head down the street some 100 m until you hit the Old Town Hostel sign. From main gate Enter the gate, and then turn right at first possible street. Follow that path (during which u will pass one small square, at which end you will turn semi left at only place possible ( just follow where street leads you) until you hit only cathedral square in Kotor. Pass cathedrall from right, and when you face wall, go right. Then just go straight (you will pass another small so called "Sallad square") until you hit our sign "Old town hostel Kotor"